For three years now, Fandemonium has brought Outskirts Press Facebook fans together to experience the joy of publishing with us first-hand. Submit your poetry, short stories, excerpts, recipes or anecdotes for free today for your chance to be published in the 4th Annual Outskirts Press Facebook anthology, Fandemonium, now through April 30, 2014. 1. Submit your work as a regular “Status Update” on your own Facebook page. 2. “Tag” Outskirts Press in your Update by typing @outskirts somewhere in the body of your message. Outskirts Press will show up in the drop down list (as long as you have liked the Outskirts Press page on Facebook). Select Outskirts Press. If Outskirts Press does not appear in the drop down menu, be sure you have clicked to “Like” the Outskirts Press page on Facebook (www.facebook.com/outskirtspress). 3. To control who can see your post, use the dropdown privacy menu near the bottom of the section. “Public” is the recommended setting as restricting the privacy may result in your submission not being accessible to our moderators. 4. When you’re done writing, click Post. We hope you are having a very Happy Labor Day! Summer is now over, and although it may seem early, the holidays are right around the corner. Soon we will all be thinking about holiday shopping and, more importantly, holiday food! This year Outskirts Press is bringing our Facebook fans together to produce a holiday recipe book and we’re inviting you to be a part it. Do you have any culinary skills that you have perfected? 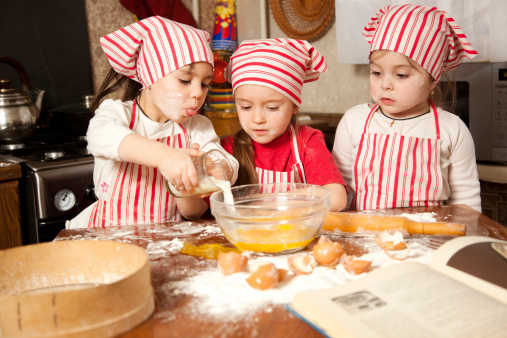 Maybe recipes that have been a part of your family for years that you would like to share? Throughout the month of September, you can share your recipes for a chance to be included in the 2013 Holiday Recipe Book featuring our talented Facebook fans. Be sure to submit your favorite recipes before September 30th, and remember to tell your friends to vote for your submission by “liking” it. Submissions with the highest number of votes will be considered for inclusion in our upcoming Holiday Recipe Book. Submissions can be anything from appetizers, entrées, desserts and much more! By submitting a recipe, you confirm that you are the sole copyright holder to the material you are submitting and that you grant us a non-exclusive right to use the materials you submit through our social media channels and within the Facebook community when it is published and distributed. Furthermore, you understand that royalties from the sale of the Holiday Recipe Book are not split among the contributors. The 2013 Holiday Recipe Book will be published and ready for sale before the holiday season. Let the submissions begin! With the emergence of YouTube and other video websites, in many ways social media has become a largely video-centric world. Consumers of news, pop culture, marketing and other information, it seems, are digesting more of that information in video format. That’s not to say the written word is dying out – books do, and will, remain a popular form of entertainment – but Internet users looking for a quick bite of magazine-style information are turning to video in greater numbers. And why not? Videos offer a number of advantages over the printed word to both the communicator and the consumer. Consider this: It is fairly easy for a reader to glance over a page and skip to passages they wish to read, possibly ignoring other vital information in the process. That’s less likely to happen with video, which disseminates information in a linear fashion and often in an entertaining way, making viewers less likely to skip around. With video, the communicator has the power to control what information the consumer gets, and when. That’s a powerful tool! Now is the perfect time to take advantage of the power of video with Outskirts Press. Now through February 28, we’re offering authors sweet discounts on video marketing services. Get 25% off your Book Video Trailer & Distribution when you check out of your shopping cart by February 28 with the promotion code BVFEB25, or you can save 25% every day on our popular Book Blast bundle which includes five of our most popular marketing services, including a Book Video! Once your video is completed, we will help you kick off your video marketing efforts by distributing it to YouTube, Facebook, Twitter and a number of other popular video sites. Now through February 28, simply click here to add this option to your cart, enter the promotion code BVFEB25 and you receive 25% off. Don’t delay, this offer isn’t around long! We are extending the Show Us Your Love contest for one more week! That means YOU have more time to enter your video for a chance to win a FREE laptop! Grab your video cameras, smartphones or iPads and record your own 1- to 3- minute video that creatively highlights what you LOVE about being a published author. Send your video to love@outskirtspress.com by midnight February 22nd and you could win a FREE HP Pavillion laptop with Windows 8. We’ll share your video on our Facebook page, YouTube channel and Twitter. Be sure to share your videos on your own social media channels, too, and have all of your friends visit our Facebook page to “like” your video. The finalists with the most “likes” on our Facebook page will be selected for a public vote on our blog the last week in February. The winner of the free HP laptop will be announced on Friday, March 1, 2013. Win a FREE laptop when you Show Us Your Love this February! There is no sure-fire formula to writing romance, and certainly no formula for making that self-published romance novel successful. However, there are a number of “rules” for romance writing that will improve your odds of creating a high quality, readable bodice-ripper. 1. Know thy audience. With something as intimate as romance, you must know who you wish to reach out to with your novel. Is your reader a young, twentysomething college student or a middle-age woman with kids in college? These two people are completely different and have much different experiences with love, and much different needs as readers. In order to know what story to tell them — and how to tell it — you have to know a little about them. If you’re already a middle-age woman with kids in college, you may be halfway there. If you’re nothing like your target reader, you have some homework to do. 2. Make it real. Characters, that is. No one’s perfect, nor should your characters be. Your protagonist should be likable, but likable doesn’t mean flawless. People — characters — are far more interesting when they’re vulnerable to the same human foibles that we all are. We can relate to people who are like us, who have made the same painful mistakes we have and who, perhaps, find unique solutions to these issues. 3. Bare it all. Romance is an exceedingly intimate genre. You’re writing about moments that are typically kept behind closed doors (and chained up, gagged and spanked in some cases). This is not a time to be shy, and certainly no time to be disingenuous. If you’re set on writing romance, you must be prepared to write in great detail about things that may be deeply personal to you, or at least deeply personal to those you rely upon for your research into the topic. If the idea that your 90-year-old grandma could read your book scares the bejeebers out of you, you’re either in the wrong business or totally on the right track! 4. Less talk, more action. The steamiest love scenes are the most descriptive. We “see” what the characters see, hear what they hear, smell what they smell, taste what they taste, and feel what they feel. Why muddy the waters with a lot of chatter? In love scenes, keep the yapping to a minimum, just as in real life sexual encounters. Save the dialogue for scenes in which you’re developing your characters. 5. Nail the dialogue. When your characters do speak, it is vital to the credibility of your story that their dialogue is believable. 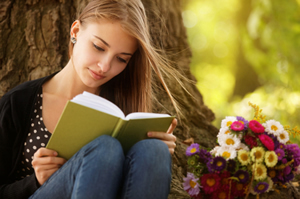 A teen romance that’s peppered with flowery, poetic prose won’t gain much traction with your target audience, and teens will certainly never connect with the characters. Unless you’re writing a period novel set in the Victorian Age, keep your dialogue modern. And if if you really do envision a character saying something cheesy, think of how you’d respond to it and let your characters react accordingly: an eye roll, a spontaneous laugh or a slamming door. Remember, romance is deeply personal. It’s not unusual for first-time romance writers to experience some level of discomfort with the material. But you’ve got to put it all out there, so to speak. The best romance writers adapt their attitudes to the honesty of the material rather than adjust the material to their own comfort level. Got a great idea for a romance novel? Talk to Outskirts Press about how to get started self-publishing your own steamy romance! When you’re deeply immersed in the writing process, it can be difficult to think ahead to the moment your self-published book ends up in a reader’s hands. If you think book marketing is the right time to start thinking about how to reach your target audience, you’d be wrong! In fact, that reader should be your primary focus from the moment you start typing. Get in the right mindset. If you know before you pen your novel that you want to reach a certain demographic, that target audience should be at the front of your mind at all times. Picture a single person who embodies the average reader to you: It may be a teenage girl from the ‘burbs, or it could be a middle-age man who works in a big city. The language you use, the characters you bring to life and the story you tell should all be interesting to that person you view as your typical reader. Immerse yourself in the culture. If are a middle-age man working in a big city who’s trying to write a story that appeals to a teenage girl from the ‘burbs, you’ve got some homework to do. Odds are, unless you have a teenager under your roof and are really tuned in to her “culture,” you’ll need to know what’s important to her, what makes her happy, what her big concerns are, and what life for her is like every day. Get to know this girl! She’s your reader. Dress the part. That is, dress your book for the part. Once you’ve immersed yo urself in your reader’s world, get to know how that target reader expresses herself. Write in her language. It’s not enough to understand her if you don’t understand how she expresses herself. Choose a cover design that your reader will find appealing. For the teenager, this may be anything from brightly colored graphics to the supernatural beings that are so popular. By contrast, a senior reader may be more drawn in by period art that hearkens a nostalgic time. Reach out through social media. Facebook, Twitter, Pinterest and other social media platforms give author s a great deal of freedom to reach out to scores of potential book buyers. Readers young and old are latching onto social media, but finding them can be tricky. The “cultural immersion” phase of your self-publishing journey may have unearthed some clubs and social media pages you can link to for contact with your target reader; however, help from a trained social media professional can provide priceless here. Your advisor can not only set up platforms specifically for your book or author pages on several social media sites, but can help put you in contact with entities that will be useful in getting the word out about your book. And, he can do it for you in a fraction of the time you’d be able to do it yourself. Don’t fret if your writing is wrapped up and you’re just thinking about your target audience. There are still many things you can do to sharpen your focus retroactively. A good editor can tighten your writing with your target in mind or suggest a better target, and will offer guidance on substantive changes that will strengthen your story. A Personal Marketing Assistant can provide additional assistance in steering you toward the marketing and promotional services you may need to reach out to your reader in the most effective way. 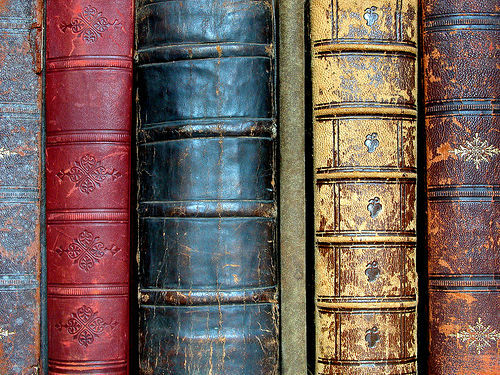 Perhaps you really can’t judge a book by its cover … but most buyers will anyway, at least to some degree. Readers seeing your book for the first time will draw a number of conclusions about you, your story and the quality of your product within milliseconds, often based solely on the impressions created by the cover art. A strong cover that grabs attention and conveys the mood, genre or themes in a story is truly an art – a very important one. It’s the first aspect of your book that can make or break the sale and, for that reason, it counts more than most others. While there are templates on the market you can use to create your own cover, It’s difficult for an inexperienced designer to get the most out of a prefab cover design. Custom design from an artist with specialized training in design principals, and experience in the field, will produce far more effective art , and the service can pay for itself in increased traffic to your book page that translates into increased sales. Get to know their style. Any designer worth his salt has a portfolio you can view, including an online portfolio on a business webpage or website. His or her page will probably include background information as well. While each book cover is different and your needs are unique, you’ll likely recognize a signature style with each designer. Choose a designer whose style and approach best fit the vision you have for your cover art. Determine a communications plan. Reach an understanding with your designer of choice right up front about how you’ll communicate, what you want to accomplish with each meeting or call, how the work will proceed and about your expectations. Facilitating the communication process opens the door for more effective communication. Make the most of those meetings. Be honest about your wants and needs. Straightforward discussions in the early stages will prevent any confusion down the road and will help your designer deliver their best work to you. Good designers are conscientious about their work; they welcome and need straight talk from you because they want every client happy – and successful. Trust the designer’s expertise. It can be hard for some authors – even after lengthy, open discussions with a talented designer – to fully hand over the reigns of their cover art to someone else. Take comfort in knowing that your designer has very specialized training and experience in the art of book cover design. After all, if anyone could design a winning book cover, everyone would be doing it and selling millions of copies. Keep an open mind. An exceptional designer can often deliver you the book cover you never knew you wanted. She’s a conceptual, out-of-box visionary who sees things in your story or themes that may not be obvious to you, but may be irresistible to potential buyers. Trust that vision! It’ll rarely steer you wrong. Of course, if you begin working with a designer and the collaboration never really “gels,” know when to start over with another designer. If a designer doesn’t seem to understand your needs, fails to respond to concerns or is not receptive to your input, these may be signs that the two of you are simply not compatible. Don’t be afraid to move on to a designer with whom you “click” – then let them run with it. Outskirts Press is bursting with LOVE for self-publishing authors this February. Would you love to share in the love? Better yet, would you love to win a free laptop computer with Windows 8? Here’s your chance to do both: Announcing our 2nd Annual “Show Us Your Love” social media event and video contest. One talented author will be the lucky winner of this sparkling black HP Pavillion laptop computer! Outskirts Press authors, grab your video cameras, smartphones, or iPads and expand your artistic creativity by recording a 1-3 minute video that creatively highlights your love for your book & your love for Outskirts Press. Email your video file to love@outskirtspress.com by midnight on Valentine’s Day, February 14, 2013. **Submission deadline has been extended until 11:59pm EST February 22nd. We will share your video on our Facebook Page, YouTube Channel, and Twitter Feed, increasing exposure for you and your book. The sooner you submit your video, the more exposure you’ll receive. Be sure to share your video on your own social media channels, too, and have all your friends and family visit our Facebook page at facebook.com/outskirtspress to “like” your video. The three finalists receiving the most “likes” on our Facebook page from among all the posted entries will be selected for a public vote on this blog to determine the winner during the last week of February. 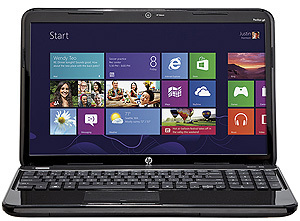 The winner of the free HP laptop computer with Windows 8 will be announced on Friday, March 1, 2013. Have you written a book that you want to publish? Do you want to love your publisher? Click here to start publishing your book today with Outskirts Press. *Authors who submit videos are giving Outskirts Press permission to post videos to our YouTube channel, on our website, and other social media platforms for promotional purposes.